Brilliant antique Waltham pocket watch. Product code: 1040 Categories: Sold Items, Sold Pocket watches. 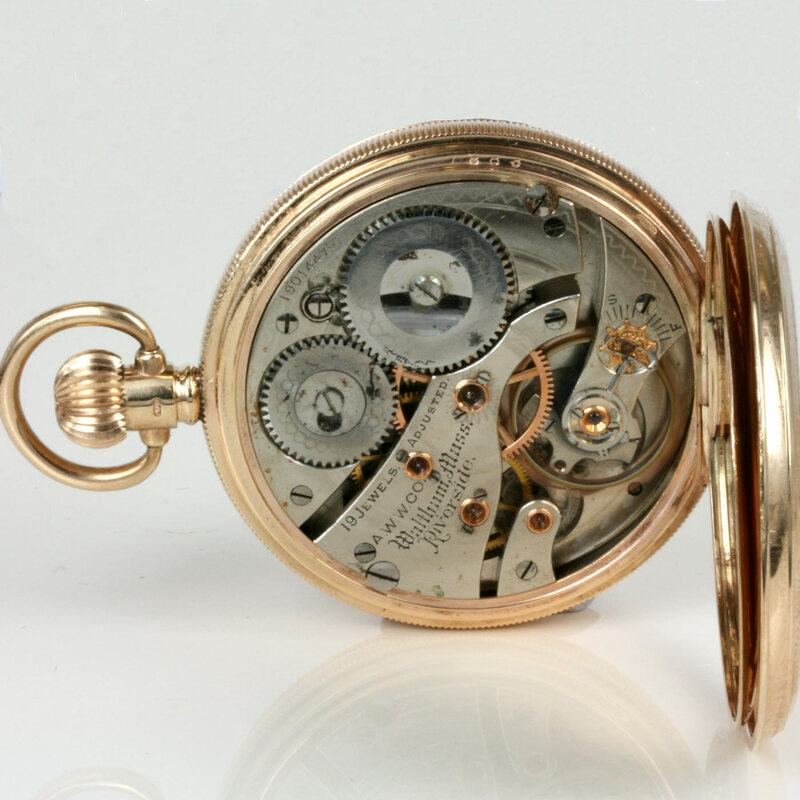 Here is a great example of why the pocket watches from years gone by were made to last and are always sought after. settings. This movement is just superb. 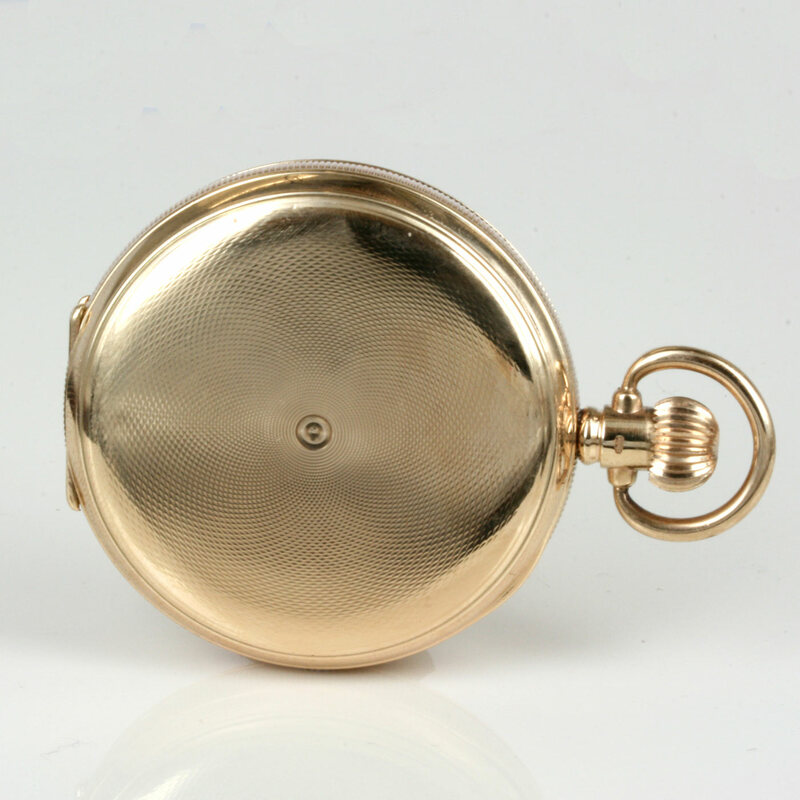 Fitted in a solid gold full hunter pocket watch with engine turning design, this case is in superb condition and feels like new. Measuring 47mm across, this pocket watch sits so nicely in the palm of your hand and is what a solid gold gents pocket watch is all about.